What kind of reputation does the contractor have? Ask friends, family, and coworkers about their experiences. Ask to view some of their recent work. Ask how they will protect your home from the dust that is created. What kind of experience do they have? 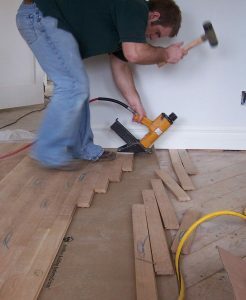 Installing and refinishing hardwood floors takes a special skill set that takes literally years to master. 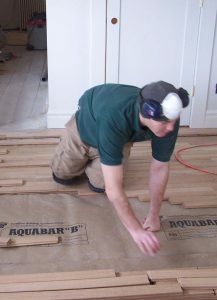 There is a wide range of products that can be used to finish your floor. Some can be purchased at the local home improvement store. Others are only available to true professionals. To ensure your floor stands the test of time and does not wear out prematurely, make sure your contractor will not cut any corners in regards to the finishes that are used. Will the contractor you hire stand behind his work? How will they ensure that all the details are cared for? Will the contractor offer a warranty?